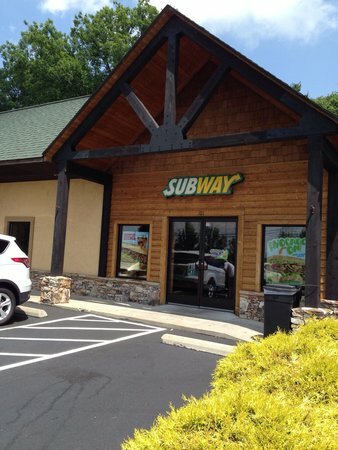 There aren't enough food, service, value or atmosphere ratings for Subway, Tennessee yet. Be one of the first to write a review! 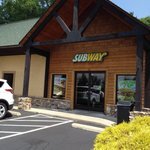 We are usually happy to see a Subway on the road, because we are hungry but not much activity while in the car, so want to eat light. this was perfect and tasty. The food is always fresh,veggies look great,bread is fresh, Store is clean,and excellent customer service. Everything here is fresh, Fresh Bread, Fresh Meat, Fresh Vegetables. and one very clean restaurant. and a happy smiling server. We enjoy the sandwiches and it is quick and easy to get exactly what you want on the sandwich. We go about once a week for an easy meal without having to cook. Fast service. Plenty of tables. Got 5 different sandwiches and they were each completed accurately and efficiently. Great place for a great sandwich. The cleanest Subway I have ever been in. Respectable staff and lots if dining space. Excellent service!!! I highly recommend this location to anyone traveling I40.